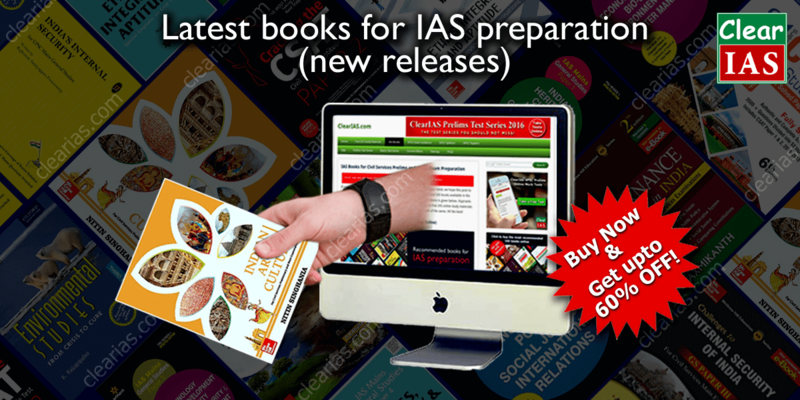 Are you preparing with the latest IAS books? After the last syllabus change in UPSC Civil Services Mains exam, aspirants cannot stop with just 3-4 books. The competition has increased tremendously and aspirants need to expand the horizon of reading, particularly on new topics like internal security, governance, disaster management, world history etc. There was a dearth of good books to suit the latest syllabus, but thanks to new authors and publishers who came up with promising texts, things have now started to improve rapidly. This post is a list the new releases related to UPSC exam in the Indian market. Aspirants can click on the links for any book to buy online. Government Schemes for Quick Revision. Current Issues – What’s Hot Today: 75 Most Probable Topics for Mains. 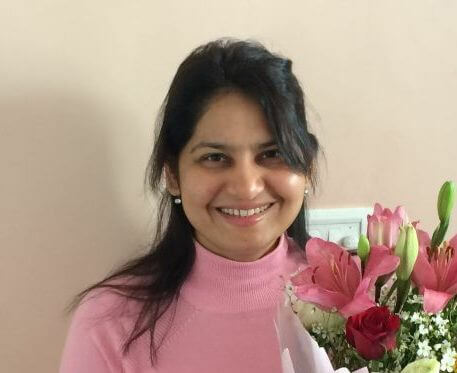 How to score high in the IAS interview: Tips to clear IAS interview in flying colours. There are many publishers like Mc Graw Hill, Pearson, Spectrum, Arihant, Access etc. publishing competitive books for UPSC Exam preparation. How to find the right books for UPSC/IAS preparation? 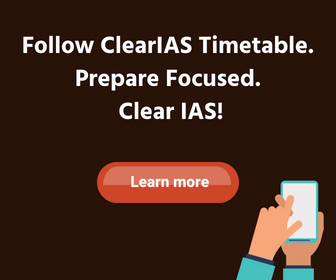 To get a quick understanding of the most basic/essential books for UPSC Preparation, ClearIAS.com has published three main lists so far: (1) IAS Prelims + Mains Books, (2) IAS Prelims Books and (3) IAS Mains Books. If you are a fresher in the UPSC preparation field, the best way to select useful books for preparation is by referring what previous year toppers had studied. You can check the UPSC Toppers’ Booklist/Study materials in Toppers’ interview module. 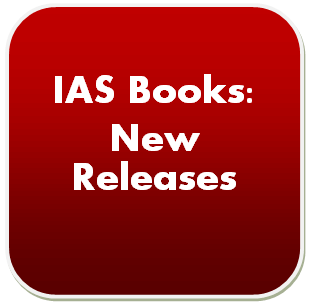 Book Review – Review of latest IAS Books. UPSC Books Search – Direct check in Amazon website. UPSC Books Search – Direct check on Flipkart website. PS: We keep updating this page when new books worth the time and money of candidate appear in the market. So come back to check this page again! It’s not necessary to read 201-heavy-weight-books to clear IAS! But considering the competition and vast syllabus, there is no doubt that UPSC exam preparation cannot be done without some essential books. Quality books act as add-ons to your online preparation and help a lot in self-study. Concentrate on the recommended books mentioned on this website along with NCERT books for daily study and use additional books as reference. Of course, there are many more books. Also, a lot of new books/editions are mentioned as the forthcoming item in e-commerce sites like Flipkart or Amazon. We have listed only the best, considering the fact that it is not practical to read a lot many books within a limited time frame. Also, though some books are promising, there are low-quality books too, which does not add any value in the UPSC exam perspective. All our lists are just indicative in nature, to generate awareness about new books available in the market for UPSC/IAS self-study. Also please note that readers/publishers/authors are free to suggest any book be added to the list. PS: ClearIAS.com publishes reviews on new books in the market under our Book Review section. Publishers/authors can send us samples for review. Readers too can post the reviews about the UPSC books they bought in the comment section. That will be helpful for other aspirants for book selection. My recomedation is take BA as its a base for IAS mains…. sir I am student of class 10.And I want to become an IAS what should I do and which book should I read. sir i sardar irgawan gull naik from jammu and kashmir please tell me which books i read for prelims and mains. My child now in 10 th want to start IAS preparation now. Frm where she has to start or which book will give her proper guidance? Expect your valuable suggestions….